Funk, Faust And Stone: Three Stunning Albums From 2013 : Deceptive Cadence Deceptive Cadence host Anastasia Tsioulcas talks with All Things Considered host Audie Cornish about three essential classical and world music releases from 2013 from very different parts of the globe: Bartok's Hungarian dancing, a percussion epic from Alaska and sweaty Nigerian funk. One of the albums I'm most excited about in any genre this year poses a significant question in its title: Just who is this guy? It's a question with no good or complete answer. 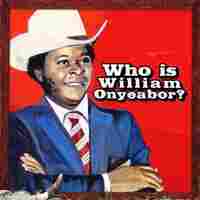 William Onyeabor is a Nigerian musician who, in the 1970s and early 1980s, made eight self-released albums of wild and completely synthed-out dance tunes. And what he was doing before he made this spate of really great albums is kind of a mystery, too. Some biographies of Onyeabor say that he went to the Soviet Union to study filmmaking, and then opened his own film company in Nigeria. Others say he was a lawyer who had studied in the U.K. And other sources say he was just a Nigerian businessman. Honestly, I think the divergent stories just add to the allure — and in the end, you can't deny how much sheer fun this music is. Onyeabor made these incredible tracks until about 1985, when he became an evangelical Christian and decided he wanted absolutely nothing to do with his former life. When the Luaka Bop label decided to create this compilation, they went chasing after him — and he wouldn't talk to them about music. At any rate, I can't imagine how futuristic his music must have sounded in the '70s and early '80s. The modern electronica world has gone nuts over this release; all that synthesizer sounds exactly right and still really fresh in 2013, more than 30 years after these recordings were made. 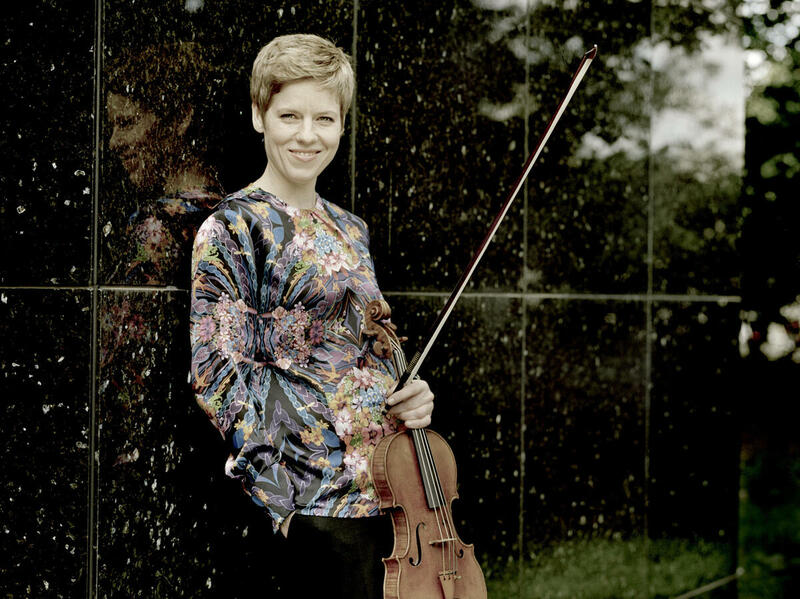 German violinist Isabelle Faust released a spectacular recording of Béla Bartók's two violin concertos with the Swedish Radio Symphony Orchestra, conducted by Daniel Harding. Bartók knew more about dance music from various cultures than about 99.99% of the world. And he wrote his violin music for friends like Yehudi Menuhin. Hearing Bartók's music, you get a very clear sense of how well he understood and appreciated the violin — and his friends who played it. In his Second Violin Concerto, you hear all these amazing dance rhythms refracted through incredible colors and textures. It's truly one of the greatest violin concertos of the last 100 years; it's so vibrant and fresh and full of color. Bartok wrote this concerto in 1937 and 1938, when he was agonizing over the future of his native Hungary. He was horrified by the Nazis — and within a year of writing this concerto, he left Hungary and resettled in New York. I believe you hear a unique balance of light and darkness constantly in play in this concerto. This recording is quite special. There are some elements that classical geeks like me freak out over — for example, at the very end of the concerto, the soloist signs off early, and Bartók leaves the audience with an amazing brass fanfare. Isabelle Faust and Harding use this original version, and not the more typical version Bartók later wrote. But that information is really for the nerds. There's something much more emotionally crucial going on in this recording with Isabelle Faust: She makes her violin just sing. She's so smart and exciting — and her recording is never pedantic or boring. Harding and the Swedish Radio Symphony Orchestra match the soloist's energy, and their recording is simply an exhilarating ride. 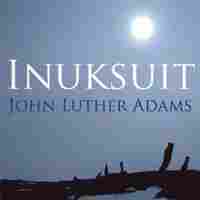 The Alaska-based composer John Luther Adams wrote Inuksuit ("...to act in the capacity of the human") as something meant to be played — and heard — outdoors. The title is a word that comes from indigenous communities including the Inuit in the Arctic Circle; inuksuit (ih-NOOK-sweet) are big stone landmarks, piles of rock built by humans into towering shapes. I like to think of this piece as a meditation on all sorts of issues: about alienation and togetherness, and how one movement, or one sound, or one person, or one community, will affect others in very subtle and mysterious ways. The sounds of nature and life pass in and out and around the music of Inuksuit. Adams scored this piece for anywhere from nine to 99 percussionists playing all sorts of instruments, which translates into the potential of experiencing a lot of sound. The first time I heard Inuksuit live was two years ago, a performance given by 99 drummers in the middle of Manhattan's Morningside Park. You might think that this piece sounds like a crazy idea, or too woo-woo for words, or at the very least more interesting in the concept than the execution. But for me, hearing Inuksuit live was one of the most incredible and nearly out-of-body experiences I've had in years. The drummers are all scattered around a large area, so each listener is walking around and through the musicians — which means that each listener is going to have her or his own, totally individual experience of this piece. And even despite the fact that a recording of Inuksuit is, by necessity, a very different creature, it possesses its own kind of magic. This recording was made in Vermont with 34 musicians led by Doug Perkins, who also put together the New York performance I heard live. Their version opens with several minutes of birdsong, which fixes you in a very particular mental zone. Gradually, otherworldly whispers of percussion encroach on the birds' music, in sounds that build into a dense, towering, crashing monster of a thing. One minute, Inuksuit is hypnotic. The next, it gives you goosebumps.